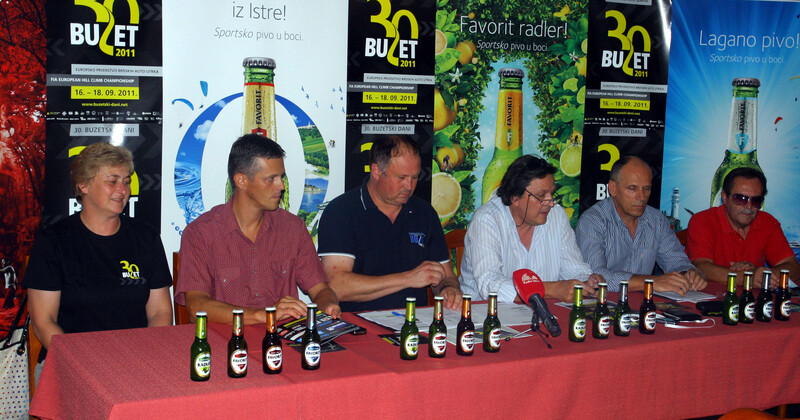 – Friday, 14th September – 2 p.m. to 4 p.m.
– Saturday, 15th September – 7.30 a.m. To 6 p.m.
– Sunday, 16th September – 7.30 a.m. to 8 p.m.
Every year the European Hill Climb Championship, Buzetski Dani attracts numerous Accredited members of the Press. Last year over 120 journalists and reporters from Croatia, Slovenia, Italy, Bosnia and Herzegovina, Belgium, Austria, Germany, Serbia and the Czech Republic followed this motor racing spectacle. 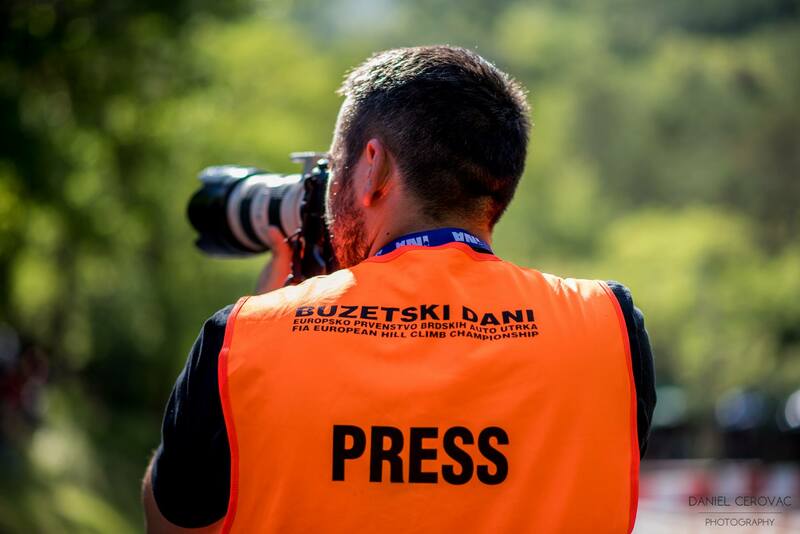 Such a huge media interest along the magnificent spectators has made the Buzetski Dani race a well known sports event both in Croatia and abroad. We look forward to seeing you this year, too! Apply between the 1st and the 13th of September, 2018. Attach your Press ID or your office’s task confirmation to your Application Form. Applications turned in after the 16th of September will not be taken into consideration. Filled and submitted Accreditation Form does not automatically grant you the Accreditation. A NOTICE with the information on when and where to pick up your Accreditation will be sent by the e-mail provided in the Form to all the successful applicants. HOW AND WHERE TO PICK UP YOUR ACCREDITATION? The Accreditation is valid for both days. After claiming the Accreditations, all members of the Press shall go to the PRESS centre at Most and shall be given the OBLIGATORY press tabards without which the security and the marshals will not allow them to move along the track. On Sunday, a Press van will be taking all the journalists, reporters and camermen along the track before the start of the first Heat, during the break between the first and the second Heats and finally, after the second Heat. You will find out all the necessary information by contacting the Head of the Press office of the Event.